Over at the Simply Less is More Blog the challenge this week is to use turquoise in your design. 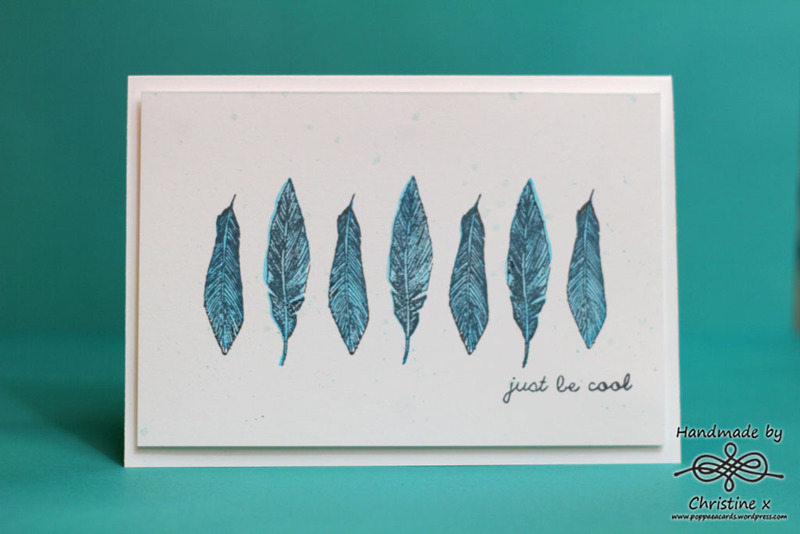 I used a stamp set called Frame and Feathers by Studio Calico which has two sets of solid and detail feather stamps. I used a pigment ink to stamp the solid feathers, drawing the ink down the stamps to create a textured finish. The detail images are stamped in Memento ink in Flannel Grey. The sentiment is from the same stamp set. Pięknie, prosto, elegancko. Kartka sliczna. Gratuluję. Christine this is so stylish!